in so many words...: Friday Forgotten Book: GREY MASK (1928) by Patricia Wentworth - The first Miss Silver mystery. Glad this was fun - I've been a bit unlucky with my Wentworth reading I think so I did get rather put off - good to know where to go for a good one! Sounds a bi more Edgar Wallace than Agatha Christie this one! Thanks Yvette. Nothing like Agatha Christie, Sergio - sorry if I gave that impression. More like Philip MacDonald (I've never read any Edgar Wallace), at least this first one anyway. Try it. Fun to read. "a clever fairy godmother type with omniscient powers and a very irritating cough, who shows up intermittently in the plot and in the end comes forward wisely to solve the mystery"
That's the best encapsulation of Ol' Maud I've ever read. It also matches exactly my opinion of her. What I found hard to swallow was the way policemen are impressed with her superhuman intuitive sills. Not only can they not explain how well she can guess at people's hidden motives they liken her to being a witch! What man think like that? Especially a cop! Ridiculous. More power to you for taking the plunge and diving into the Wentworth canon. If ever I return to Wentworth it'll be to read one of the books without Maud Silver. Thanks for another smile inducing review, Yvette. I even burst out laughing a couple times. You're the best and you made my sunny, warm Friday (Spring in Chicago at last!) all the brighter. Thanks, John. I love to be quoted. :) And you're welcome - glad I brightened your day. This one was, as I said, a fun read. I'll be trying a couple more but truth to tell, two others I've read recently haven't been nearly as good. I've not read this but will be keeping an eye out for them. I can't remember if you've ever mentioned reading the Hildegarde Withers mysteries by Stuart Palmer. She is also a school teacher, who becomes an ex-teacher later on. I love these books and think you might, too. I've read several and would be happy to read more, but they are so hard to find. Have you seen the movies? I understand they are a lot of fun too. Those are difficult to find as well. It has been so long since I read a Miss Silver mystery. I have several in my stacks and I have got to get to them. Yes, it's not a series that instantly leaps to mind. But I've just discovered that my library has them so that's probably what I'll be reading for the next few weeks or at least as soon as I can get my new library card. I have read just one Wentworth, and it was one of her standalone novels, THE DOWER HOUSE MYSTERY, which I didn't particularly like at the time, and about which I now remember little. This was an insightful review, I know enough now to think I probably won't try a Miss Silver mystery, because I have so many other books beckoning. Well, at least now, you know what to avoid, Richard. :) I'm fond of these sorts of books when they're well done and I don't mind hunting around for a good Miss Silver. When they're good, they're worth my time. That much I do remember from having read them in the past. Not my cup of tea, I'm afraid, Yvette, but, as always, I enjoyed your review. Thanks for leaving a comment anyway, Mathew. I know it's hard to think what to day when it's obvious the book being reviewed is not to your liking. That happens to me now and then too. Yvette, the next time I spot Patricia Wentworth's books at exhibitions, as I usually do, I'm going to pick up a couple of them. Maud Silver sounds like a interesting lady. Well, I hope you do, Prashant. And I hope you'll get your hands on a good one or two. When they work, the Miss Silver books are a cozy way to spend some time. The Hildegarde Withers books are all on Kindle now and cheap. Highly recommend them. I find these books are best read in order they are written FWIW. 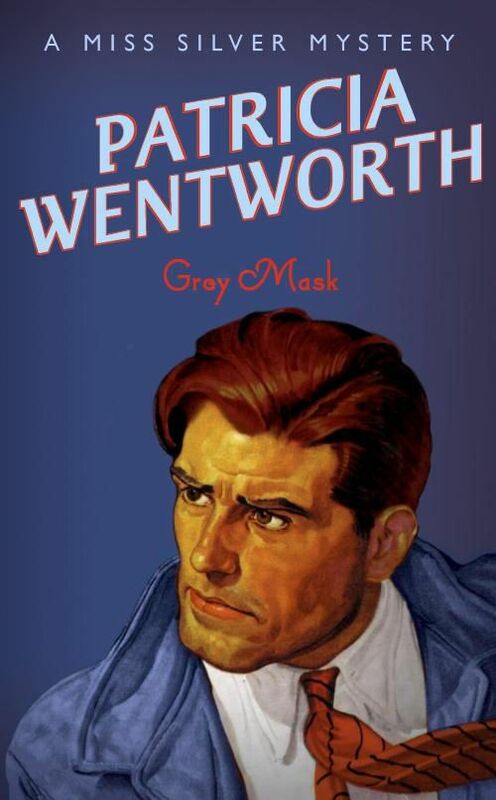 Just finished Grey Mask - enjoyed the story and agree with comparison to Edgar Wallace as well as Buchan. I did not understand the ending though - why/how would Freddy have been arrested in flight?